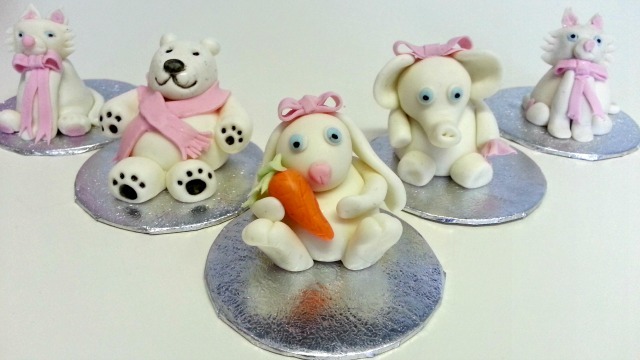 Welcome to the first Sugarcraft Newsletter from Crafts Bee! 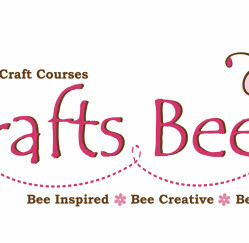 Home » Cake Decorating Newsletter » Welcome to the first Sugarcraft Newsletter from Crafts Bee! 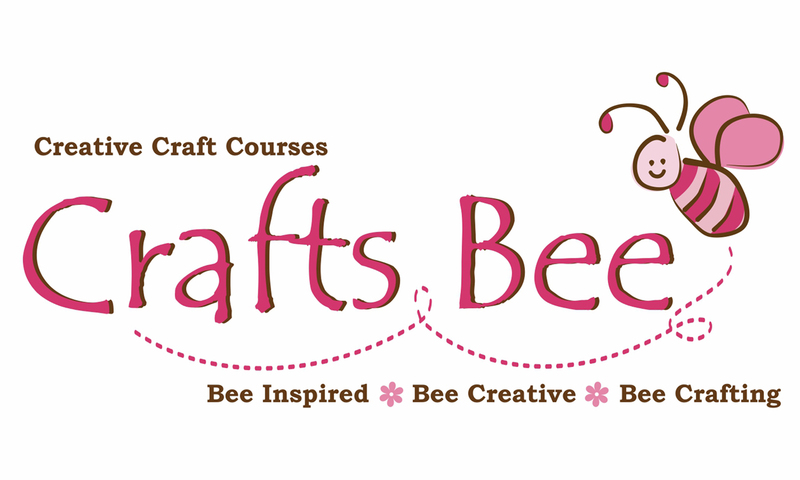 Welcome to the first Sugar Craft Newsletter from Crafts Bee! We hope to bring you lots of exciting news about classes, new products, exhibitions and much more including answers to your cake decorating and sugar craft questions. As this is the first one please bear with us as we work out what we need to include and if there is anything you would like to see covered please do get in touch! 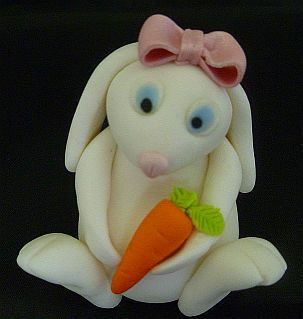 You can e-mail us with suggestions or your sugar craft questions at cakedecorating@craftsbee.com , we would also love to see your pictures of cakes you have made perhaps following attending one of our classes. The following classes are booking up quick, book your place now! 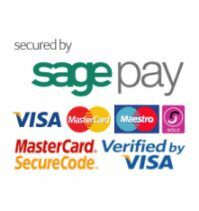 It can be daunting to work out what equipment you need to have when staring out with Sugar craft as there are so many products available. I am a true believer in only buying what is necessary, using tools for more than one job and making use of household items! In each newsletter I will try to give you tips on what it is good to have. I am starting off by recommending some essential items. Lidl does a fantastic set in a zip up case for about £5/6 keep your eyes open for when they have craft items in stock. 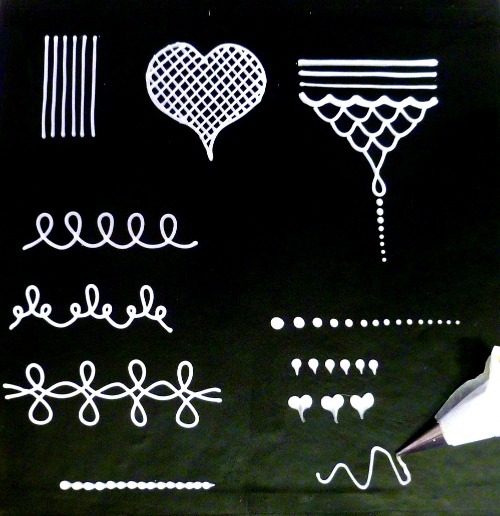 This can be bought from any good art stationer or craft shop and is one of my most used items! Perfect for adding fine detail, applying sugar glue and of course painting and dusting. Have a selection of different sizes to hand including some very fine ones. Can be bought from art shops or picked up quite cheaply at places like The Works. I would recommend nylon bristles and plastic handles for ease of cleaning. If you are a keen cake decorator a non-stick rolling pin is a great investment Cake Craft World in Bromley/on-line has a good selection. If you are not quite ready for that investment then a length of PVC piping from a DIY store will do just great and it can be put in the dishwasher! 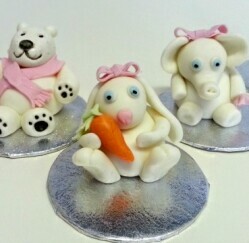 If you have discovered a sugar craft use for a household item why not let us know so we can include in the next newsletter. 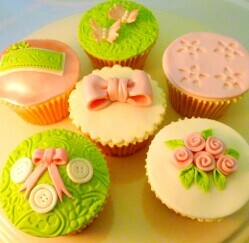 Learn to decorate beautiful Cup Cakes just like these on one of our classes. 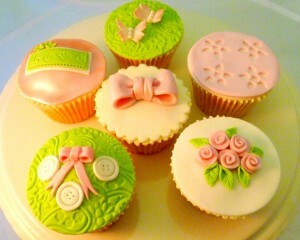 Every month we will answer your cake decorating and sugarcraft questions. Hi Leanne, often cakes get a sticky layer on them as the sugar in them attracts moisture, not much you can do to stop that. I always cut the ‘crust’ of my cakes before icing to give a better surface to ice. Make sure you don’t store them in plastic containers even once cooled as that will cause a sticky top. I usually wrap my cakes in 2 layers of cling film and store in fridge until I want to ice them. It is often a sign of a lovely moist cake which is what most of us want to have! So just go with it and slice a thin layer of to get rid of sticky bit! Hi Sonia, great idea to freeze cake before carving as it makes it much easier. Cake does not really freeze rock hard and defrosts very quickly so you can carve straight from the freezer. Make sure you have a sharp finely serrated knife to help you and have fun! Hi Leanne, the powder you refer to is Tylo Powder also known as CMC powder. It is a synthetic gum that makes great and cheap sugar glue and also adds strength to sugarpaste allowing it to dry much harder too. Have you tried Royal Icing? Master the techniques at our Royal Icing Class. You may have seen the incredible lace designs from Sugar Veil at the exhibitions recently but found it a little pricey, well there is now a more reasonably priced product called Sweet Lace. 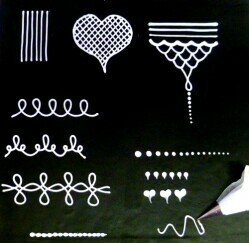 Sweet Lace is an innovative way of creating beautiful edible lace which retains its flexibility. You can buy Sweet Lace online and from Cake Craft World, Bromley. Why not book some tickets to The Cake & Bake Show at Earls Court, London 13-15 September. 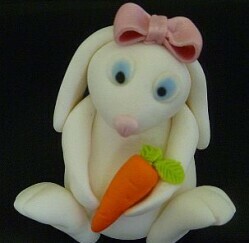 Great place to pick up tips, watch demonstrations, meet the stars of sugarcraft and perhaps find some bargains! Click here to book your tickets. If you would you like to subscribe to future newsletters click here. Which Cake Decorating Class is right for you? Time to Start Thinking about Valentines Day? Who is Decorating your Christmas Cake this year?